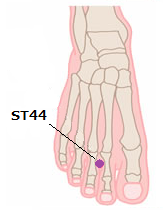 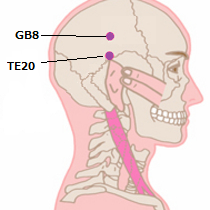 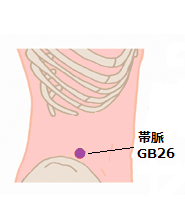 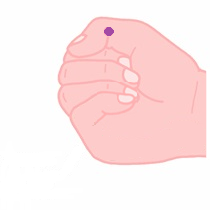 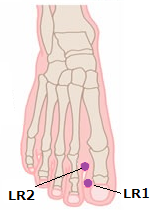 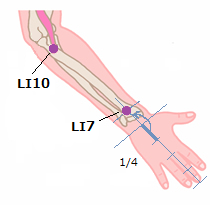 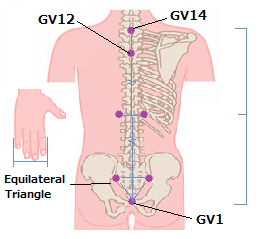 Find the middle point of GV14 to GV1, take the points thumb length outward from the middle point. 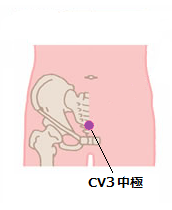 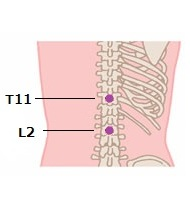 On the 11th thoracic vertebra (T11) and 2nd lumbar vertebra (L2). 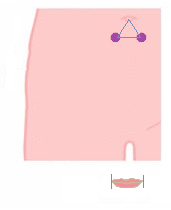 Make a triangle on Sacrum. 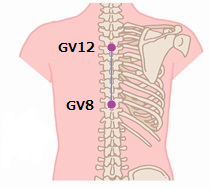 Each side is about four fingers length and the bottom of the corner should be GV1. 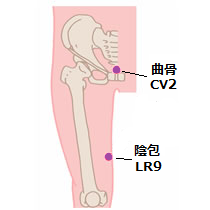 Use upper points.